One in four women have arrived at a wedding – only to be left mortified after spotting somebody else wearing EXACTLY the same outfit, a study has found. Researchers found every female wedding guest’s worst nightmare actually occurs far more frequently than you may think. According to the study one in five unfortunate women have been left feeling ‘embarrassed’ after coming face-to-face with their fashion doppelganger. It also emerged one in three have been left worrying that the outfit looks better on the other woman than it does on them. Only one in four were able to swallow their pride and console themselves with the thought that the other guest ALSO has a great taste in clothing. Despite more than half of us splurging on new wedding attire to celebrate the occasion, the research, commissioned by labels-for-less retailed TK Maxx, also revealed just under one in 10 wouldn’t wear the outfit again once they have been involved in a style clash. TK Maxx has worked in partnership with loved stylist Gok Wan to advise on the best way to shop your own style and avoid ‘outfit clash’ happening. Gok Wan said: “Shopping for weddings can be really stressful, and not just for the bride! 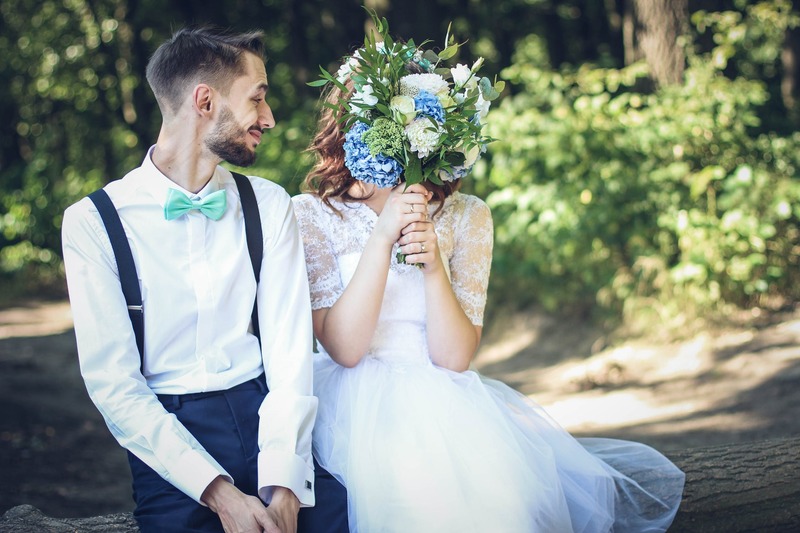 It’s not just wedding where Brits see themselves mirroring others’ outfit choices either, with more than a third experiencing a clash at an event, at work or with a stranger on the street. As a result, 16 per cent of adults advised to steer clear of high street stores to avoid matching outfits with someone else. And one in five suggested shopping somewhere which focuses on unique styles over fashion trends. Three in 10 also agreed they are less likely to experience an outfit clash if they were to shop at TK Maxx over other high street stores. Gok Wan added: “What I advise is choice. Make you sure you have enough brands and styles to pick from to ensure your style decision is the right one. ‘’And that’s something that TK Maxx always gets right… lots to choose from. “Plus, the nature of TK Maxx means you are geared towards getting many items at up to 60% off the RRP. Why blow half your year’s clothing allowance on one outfit, when you can shop for such great value on a whole range of products from clothing to accessories. Set a budget and stick to it. More often than not, the more expensive an outfit, the less wearable it can be, I know from experience! Think outside the box for wedding outfit retailers – TK Maxx are a great example as they have a huge range of outfits and accessories for both men and women, and because of their unique model, the items don’t hang around for long.